I am very pleased with my new CV – it is great what a fresh professional pair of eyes can do! I especially like the layout of the CV and how it is tailored to the career I am searching for. 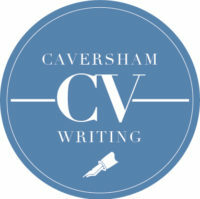 The CV has exceeded my expectations and I was very satisfied with the service I received from Caversham CV Writing – thank you! The CV Laura created for me was very professional and creative. I felt she really understood my background and presented a well balanced CV including experience and personal achievements. I was particularly impressed with the opening summary paragraph which outlined my experiences and skills. I find it difficult to write a balanced review of myself and Laura took over this with ease. Within just one week of having my CV re-written by Caversham CV Writing I have secured a new position as a Business Consultant. Thank you! Amazing! Had no idea how it (my CV) would look prior to this work. The service was distinctive in terms of the level of interest shown in the client and the client’s aspirations. I was extremely impressed with the level of technical accuracy in my new CV, by correct phrasing of engineering terms and processes and with the high level of research into my engineering history for the ultimate personal touch, despite not being specific engineering specialist CV writers. Thank you Caversham CV Writing! Despite having a current CV that I was reasonably happy with I thought that I would engage some specialist support to provide an independent view and maybe consider a fresh approach. Rather than simply refresh my CV with the latest buzz words and fancy phrases, the experience has prompted me to do some soul searching and identify some more personal attributes for consideration. The process has resulted in a new CV that maintains a professional approach yet with a more personal feel that I hope will set me apart from the crowd. Laura quickly grasped the context of my job roles in the public sector and I was reassured that she asked lots of follow up questions by email in order to present relevant and accurate details about my career so far. Asking me to send Job Descriptions for the sort of job I was looking for meant that my final CV was pitched appropriately and used industry specific language. Really pleased with the final document, thanks! Laura is a miracle worker! Laura got an SOS call from me at 9am and miraculously managed to turn my out of date and overly long CV into a brilliantly updated version by that same evening. She is indeed a miracle worker! As a potential returning to work mother who has spent the past 5 years at home I had no idea where to start updating my CV. The CV that you have given me is very professional and has helped give me the confidence to apply for positions. Thank you! The CV is so so so good. I love the layout and what you’ve written! I’m really happy with it! Thank you so much! The CV that you did has been brilliant and made the process so much easier. It’s been so useful to have one for each of my career paths as well so I am fully equipped for either of my job choices. Thank you for being so helpful and professional and your service has benefited me so much.